To find out about places you can watch and hear me perform spoken word, click on “follow” to get updates, and check out the upcoming events listed to the right of each page! If you’d like to know more about all the phenomenal opportunities to experience spoken word in Albuquerque, check out the ABQ Slams website! NEXT UP! 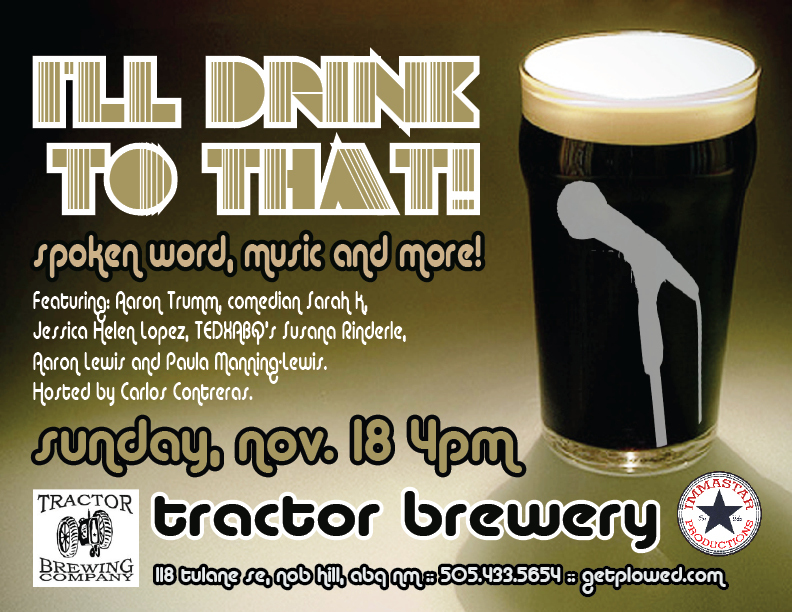 I’ll Drink to That: feature performance at Tractor Brewery (NEW Wells Park location), Albuquerque, NM, March 23, 2014, 4:00 p.m..
Scroll down to see what’s posted of my past performances! Rhythm & Words benefit for Agora Crisis Center: feature performance at ArtBar, Albuquerque, NM, March 15, 2014, 7:00 p.m..
A Happening, feature performance at Albuquerque Center for Peace and Justice, October 26, 2013. Albuquerque Slam City Championship at ArtBar, September 21, 2013. I placed 4th! My second feature performance at Carlos Contreras’ “I’ll Drink to That” monthly show in Albuquerque, NM. August 18, 2013, at Tractor Brewery! My slam competition debut, at “Final Friday” at Winnings Coffee House in Albuquerque on March 29, 2013. What a show! And I made the second round! 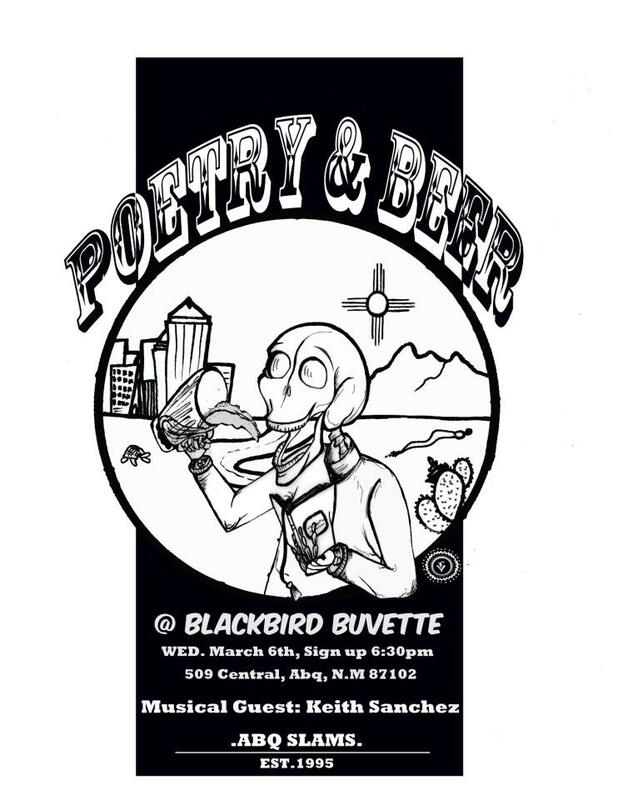 I’m a regular at the monthly Poetry & Beer series hosted by Damien Flores at Blackbird Buvette in Albuquerque, NM. March 6, 2013 was my slam debut as the sacrificial poet! Featured at an erotica reading hosted by Zachary Gluckman at The Source in Albuquerque, NM, February 14, 2013. My spoken word debut — and a feature no less! — at Carlos Contreras’ “I’ll Drink to That” monthly show in Albuquerque, NM. It was November 18, 2012 at Tractor Brewery! The following were all performed that night, and appear in the order I did my sets!